RediStain RediPrepTM Serotonin Dry Powder is used to stimulate pharyngeal pumping in C. elegans. Validated by NemaMetrix and pre-measured for use in single experiments, it is convenient and reliable. Just add M9 to the vial, and it is ready to use. Storage upon receipt: 4℃. Protect from light. 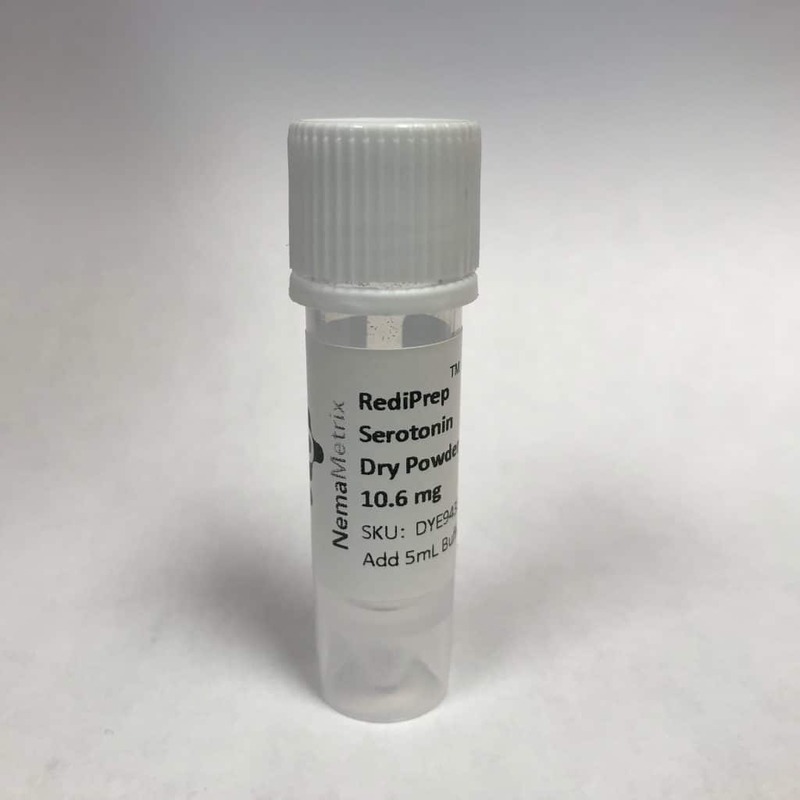 RediPrepTM Serotonin Powder (pre-measured for use in single experiments).